While there's no one "Parkinson's disease diet", there are still some general dietary rules that will you manage your symptoms. What should you eat, what shouldn't you eat, and what do you need to know about the timing of your meals? Although there's no universally-recommended "Parkinson's disease diet", the importance of a balanced and health diet can't be overstated — it's your path to increased motor functioning, more energy, and better absorption of drugs you're taking for your Parkinson's. The right kind of diet will offer symptom reduction, while the wrong kind of diet will make your symptoms worse. We recommend that you always ask your dietitian or physician about dietary adjustments before you put them in place, and those patients who have the opportunity to work with a dietitian should grab it with both hands. These general tips should point you in the right direction, however! Food for thought (and motor skills): What should people with Parkinson's eat? The first rule of thumb is that you need variety — so eat foods from all major food groups, and switch them up to make sure you get all the nutrients you need to optimize your physical and cognitive functioning. One study revealed that drinking caffeine might slow down the rate at which your Parkinson’s disease gets worse, as well as that Parkinson’s patients have much caffeine levels than others, especially in the initial stages of the disease. There's no shortage of scientific studies on both the health benefits and potential risks of regular caffeine consumption, but it looks like caffeine actually helps protect against Parkinson's disease, as well! One large study, which included only male participants (who are more likely to develop Parkinson's), found that folks who habitually chug down over four cups of coffee every day were significantly less likely to develop Parkinson's disease. It's the caffeine in coffee you want, not the coffee itself — decaf coffee wasn't associated with a reduced risk. Antioxidants have been researched as a potential treatment for Parkinson’s disease without any concrete positive results, but there's still good news — including plenty of antioxidants in your diet lessens oxidative stress, which has been shown to make the symptoms of Parkinson's and many other medical conditions worse. Antioxidants can be found in an abundance of different foods. You could eat tree nuts — which include pistachios, walnuts, pecan nuts and Brazil nuts — or try some berries like cranberries, blueberries, goji berries, blackberries and elderberries. Nightshade vegetables are also rich in antioxidants, and they include peppers, eggplant, and tomatoes. You can also eat kale and spinach. Fava beans naturally have levodopa, an ingredient also used in popular Parkinson's drugs, which is why some Parkinson’s patients like to eat them. However, no proof actually exists that fava beans can help manage Parkinson’s right now. Additionally, you have no way of knowing what "dose" of levodapa you get when eating fava beans, so they're definitely not a viable alternative to medication. 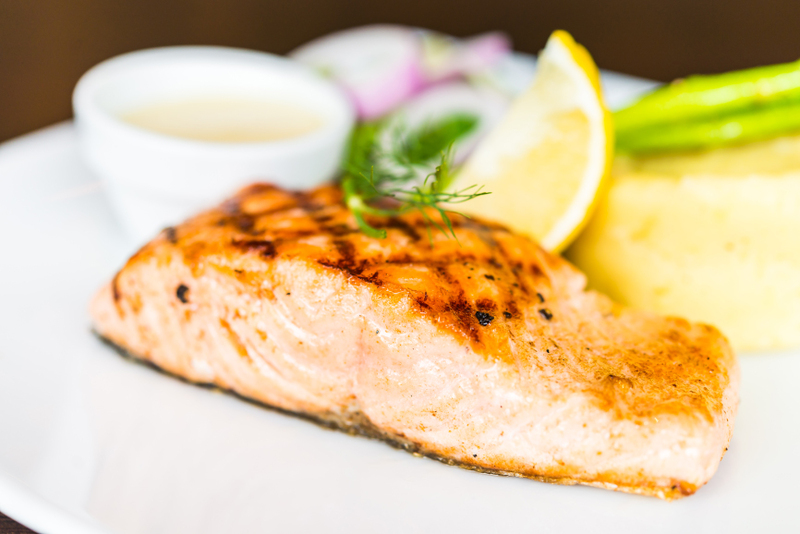 You may think Omega-3 fatty acids are helpful because Parkinson's disease causes inflammation in the brain and omega-3s have anti-inflammatory properties. Though that is true, there's even more to this story. One small study into the impact Omega-3 fats can have on mood found that Parkinson's patients who took Omega-3 supplements had less intense depression. Omega-3 may also help you with general brain function. You don't have to turn to supplements, which you may find difficult to swallow, to get Omega-3, though. Try eating some fatty fish, like sardines, trout, anchovies, salmon, mackerel, herring and pilchards, and add soybeans, kidney beans, and flax seeds. Research into the potential benefits of soy in reducing the risk of Parkinson's is also being studied. You may think of vitamin D as the "bone health" vitamin, but studies have also determined that the brain has vitamin D receptors and that we need this vitamin for the healthy functioning of neurons. It additionally has anti-inflammatory action. Though exposure to sunlight is the most well-known sources of this vitamin, some other ways to get Vitamin D include canned tuna and egg yolks. Since those aren't going to meet your daily requirements, you could also ask your doctor about taking supplements. Magnesium — a mineral that behaves like a natural relaxant — can help you have a good night’s rest! Some clues that you could be deficient include muscle weakness, nervousness, insomnia, tremors, and depression. Parkinson’s patients often have poor sleep, and this is why magnesium can be quite helpful. Foods that will give you magnesium include nuts and seeds, tofu, green leafy vegetables (like kale and spinach), other vegetables (anything that belongs to the cabbage family), dark chocolate, seafood, whole grains, legumes, baked beans and fruits. Some of these are obvious, as they're bad for everyone — refined sugar, processed foods, and fad diets, for instance. Some of dietary choices that are harmful for people with Parkinson's disease may surprise you, however. Too much protein — from cheese, beef, or fish, for instance — is thought to make some Parkinson’s drugs work less well. Instead, eat more carbohydrates and vegetables during other meals, and save the protein for dinner. Stay away from saturated and trans fats, and cholesterol. Too much refined sugar, from food or sugary drinks, can reduce the functioning of your immune system. If you have a sweet tooth, choose fruit instead. Parkinson's disease patients don't just need to take care of what they eat and what they don't, but also need to time their meals appropriately. The medication levodopa, commonly used in the management of Parkinson's disease, is most effective when taken on an empty stomach, but with a glass of water. Take it at least half an hour before a meal, and wait a minimum of one hour after a meal to take it as well. Because protein intake can also impact its efficacy, ask your treating physician for advice in this realm too. Though you're advised to take levodopa on an empty stomach, this induces nausea in some people. If you're one of them, your physician could give you a mix of levodopa and capidopa (Sinemet) or carpidopa alone (Lodosyn). If you're still nauseous, you may be prescribed drugs to manage this symptom. Have a bite of something very bland, like plain toast. Stay away from acidic citrus juices which will worsen your nausea. Say no to greasy, sweet, or fried foods as well. Drink your drinks slowly, and take in fluids in between meals, not during. Have smaller meals more often, rather than three large meals. Munoz, D. G., & Fujioka, S. (2018). Caffeine and Parkinson disease. Neurology, 90(5), 205–206. Hawthorne Extract and heath health /digoxin? Liver enzymes high. Could it be due to PMR affecting muscles???? Can you recommend any abdominal exercise for Ab circle pro?